Colleges that experience “serious” cash flow pressures, breach bank covenants, or have significantly delayed accounts will be placed into formal intervention from now on, according to new Department for Education guidance. A new “one-stop document” that sets out a “strengthened college oversight” regime has been published by the DfE this morning. It follows the introduction of the new insolvency regime that will allow colleges to go bust for the first time, which spelt the end for long-term government bailouts that have been available to colleges during the post-16 area review process. The oversight regime, which comes into force from today, has listed a number of new “triggers” for early and formal intervention. If the DfE finds that a college is at “risk of becoming insolvent within two years” or has “significant cash flow pressures” they will now be placed into early intervention. Formal intervention will follow if a college requests emergency funding at any time, if their cash flow issues become “serious”, and if there are “debt recovery slippages on re-profiling”, which includes failing to pay back government loans on time or breaching of bank covenants where their bank takes action. Upheld investigations related to college financial management and governance and/or funding audits and/or significant fraud or fraud practice will also lead to formal intervention. This will “include, but is not limited to, related party transactions and evidence of action taken by an accounting officer and/or governors outside of the college, departmental controls/policies”. A college will also be placed into formal intervention if there is “evidence of financial practice taken by an accounting officer that is not in the best interests of: value for money, the protection of public funds, the effective delivery of service for learners, does not meet the public benefit test”. Subcontracting where in the ESFA’s assessment there has been a non-compliance with rules could also lead to formal intervention, as well as failure to submit financial accounts within “30 days of the published deadline or 30 days of any agreed deadline beyond the published date”. 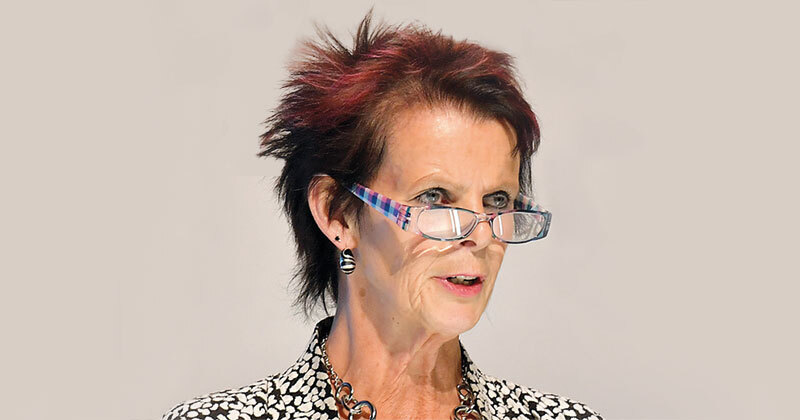 Minister for skills and apprenticeships Anne Milton (pictured) said: “We want to make sure all colleges succeed. Occasionally we know that some colleges find themselves in difficulty. “The strengthened college oversight guidance is a new ‘one-stop’ document which sets out how we will work with colleges to identify issues early on, make sure they are aware of the support available and, where problems persist, explains how we will intervene and support them. The policy document also sets out the DfE’s “preventative function” to identify problems at colleges sooner through “financial dashboards for colleges and with additional indicators to alert the ESFA to investigate the college’s position in more detail and take follow up action if required”. It also details a “strengthened” role for the FE Commissioner to review provision in a local area, use of independent business reviews to “support effective decision making”, and the introduction of the statutory college insolvency regime. Other minor changes include renaming the ‘satisfactory’ financial health category to ‘requires improvement’, and renaming ‘administered college status’ – which involves “enhanced monitoring, such as ESFA observers attending college board meetings” – to ‘supervised college status’.